The National Indian Cannabis Coalition (NICC) announced concern regarding President-Elect Donald Trump's nomination of Senator Jeff Sessions for Attorney General of the United States. Sen. Sessions, a Republican Senator from Alabama, has "a documented history of harsh criticism towards cannabis legalization," said Jeff Doctor, Executive Director of NICC. As Attorney General, Sessions would oversee enforcement of the Controlled Substances Act-- including the decision whether to prosecute cannabis-related crimes in Indian Country. If confirmed, NICC anticipates that President-Elect Trump’s appointment of Sen. Sessions would have a direct impact on current Department of Justice policy regarding enforcement of the marijuana violations of the Controlled Substances Act within Indian Country. Under the Obama Administration, D.O.J. policy has allowed each U.S. District Attorney to evaluate their resources and priorities when determining whether to prosecute marijuana crimes in Indian Country. NICC believes this nomination effectively places a question mark over those tribes with dispensaries, state compacts in place or those tribes exploring the cannabis industry as a viable economic development opportunity. 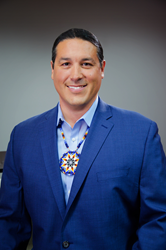 NICC encourages the incoming Administration support tribal sovereignty by continuing to allow federally recognized tribes the option of pursuing economic development in the cannabis industry.